Watch the dynamic duo battle for shawarma prominence in Iraqi-Canadian rapper Narcy’s latest visual. 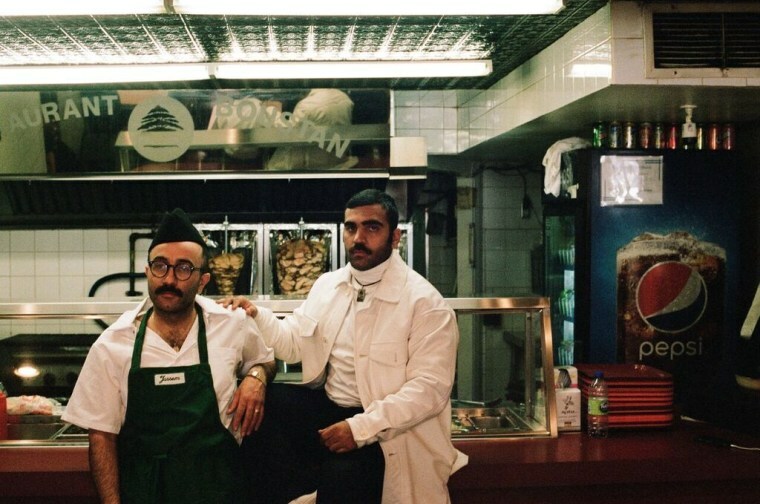 Shawarma shops are not only a staple in Middle Eastern cuisine and communities, but the rotisserie mixed meat dish is also the focal point of competition in Montreal-via-Iraq rapper Narcy's latest self-directed video "Chobi Bryant." Serving as a sequel to 2015's "Makoo," Narcy returns in prime acting form as Jassem, a fresh-from-the-motherland dishwasher working at his uncle's shawarma shop. Fellow multi-disciplined Iraqi artist Cheb Moha also stars in the video as Haydar, an over-the-top insta-celebrity who seamlessly steals the grilled meat and falafel show from Jassem. 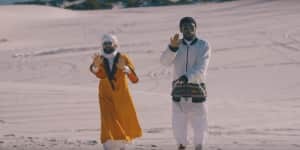 Produced by in-house producer Sandhill, the track finds Narcy returning to his Chobi roots, rapping atop a fast-paced violin-and-drum beat while the lyrics echo the complexities of inter-communal conflict within the Arab community, [insert TK lyrics here]. "I wanted to make this video as a light hearted reflection of the divide in the Arab community," Narcy shared of the track's inspiration, "to show the internal strife and also point to these asinine perceptions of food and culture. Jassem and Haydar are the split in culture, the generational shift, and our intense belief in the power of the Evil eye. Not only are we tackling these weird fetishized images and the re-appropriation of culture and food, but I also wanted to show the grimy struggle of working at these low-income, under-the-table hustles to survive in North America." Watch the quirky video for Narcy's "Chobi Bryant" below.